You can order us to anywhere in Finland order@vintagetaxi.fi or +358 45 7877 7787, for example wedding reception or any party, charter or other occasion, or if you just simply want to give vintage-experience to you loved one(s). We can agree total price for whole packet, including trip Jyväskylä-your city-Jyväskylä and driving(s) there in your city. Please make the order on time and you will get best time available for your occasion. 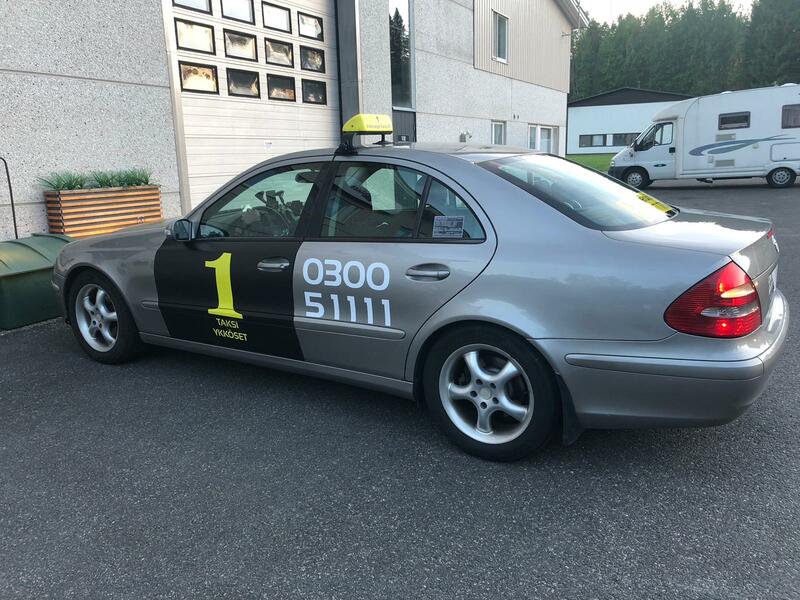 Or you can order us in Jyväskylä for normal trip to or back from center or any shorter ride as well. Remember we are always cheap. Call +358 45 7877 7787 and order us, anytime. When we drive with meter or with fixed fee, up to you! Our rates are ALWAYS attractive and our prices also always include VAT 10%. You can order us to your happenings, weddings and parties with separately agreed and tailored prices only for you, all our rates include VAT 10%. On these special occasion-drives we always agree the price beforehand and will not drive by the meter. For example 1-4 persons, Jyväskylä –> Helsinki-Vantaa airport (or vice versa), bargained one-off price is only 399.00€ on non-peak times, including all taxes and fees. We can always use meter to mesure the cost of this drive, if you want that way. 1-4 persons, Jyväskylä Center –> Tikkakoski airport (or vice versa) on non-peak times, one-off fixed price is only 49.00€ **), includes VAT 10%. We can always also use meter to mesure the cost of this drive, if you want that way. 1-4 persons, Sightseeing in and around Jyväskylä (Caity Center, Harju, 2014 House-Exhibition Area, Kuokkala Bridge, Laajavuori) on non-peak times, length 1 hour, one-off price only 99.00€, includes VAT 10%. If you want longer sightseeing or more to see, we can always agree the price for that. We can always also use meter to mesure the cost of this drive, if you want that way. Peak Tariffs are used on Peak Times, which are in general those times when taxis are not generally available. Typical Peak Times are always bigger events like Rally Jyväskylä, etc. Also holiday-times like Easter-time, Vappu-time, Juhannus-time, Christmas-time, NewYear-time. You will always be offered a receipt. All our rides include VAT 10%. We reserve a right to refuse to accept a customer to our cars for any reason. Typical refusals are for example threatning behavior, too much drunk, very dirty clothing, etc. *) Meter is calculating waiting fee only in case of if car is waiting for you with meter on, or at very slow driving speed, for example in traffic jam. ***) Sometimes the cars are so busy that we cannot accept and confirm all the orders, so please book early, we always serve the earliest reservation first.